Kaizer Chiefs midfielder Siyabonga Nkosi has confirmed he is leaving the club when his contract expires next month. Nkosi, who says he will soon announce his next destination, was widely expected to depart the Soweto giants after barely featuring for the Absa Premiership and MTN8 champions this season. The 33-year-old returned to Naturena for a second stint three years ago. "In light of the all of the speculation around my future, I would like to announce that I am leaving Kaizer Chiefs next month," Nkosi wrote on his Facebook page. 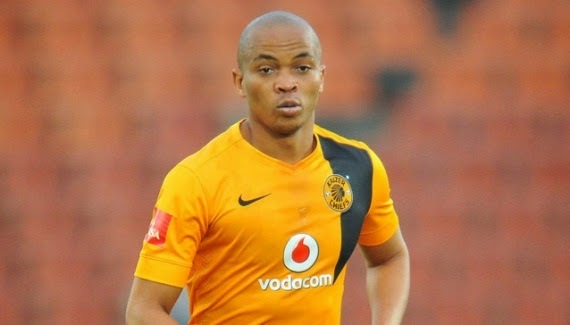 "Kaizer Chiefs has been a huge part of my life and I have been honoured to don their colors in both stints. The success achieved in my time at Naturena will always be something special to me and I am grateful for the opportunity. I will continue beyond this season and in the next couple of weeks I will make an announcement about my next destination. Ngiyabonga Khosi! SN10." 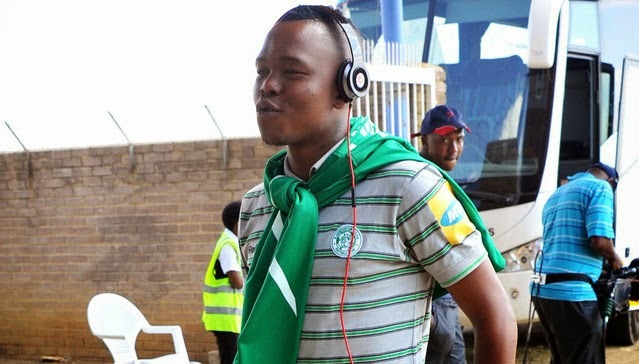 Former Maritzburg United defender Thabang Matuka has become Bloemfontein Celtic’s second signing in recent weeks. The 25-year-old on Sunday announced he had parted ways with the Team of Choice after four years at the club, and he has now joined his hometown team on a three-year contract. Matuka made 49 starts and eight substitute appearances for Maritzburg since his Premier Soccer League debut in 2011/12. Celtic also snapped up Ugandan striker Geofrey Massa from University of Pretoria earlier this month. Hosts South Africa exited the Cosafa Cup quarter-finals after losing 7-6 on penalties to Botswana following a goalless 90 minutes at Moruleng Stadium. Bafana Bafana goalkeeper Jackson Mabokgwane saved a penalty in the marathon shootout, but teammates Carl Lark and Kwanda Mngonyama were unsuccessful with their kicks, as was Gift Moyo for Peter Butler's outfit. Shakes Mashaba's men will now face either Malawi or Mozambique in the 'Plate' section of the competition on Wednesday, while the Zebras joined Namibia in the next round following the Brave Warriors' defeat of holders Zambia. Bafana XI: Mabokgwane (c), Nhlapo, Mngonyama, Daniels, Van Heerden, Lark, T. Sangweni (Madisha 87'), Morena, Segolela, Motupa, Bhengu (Nyanda 71'). e.tv has announced that they have lost the rights to broadcast Tuesday and Wednesday night UEFA Champions League matches. The Media Online quotes Monde Twala, e.tv managing director of the Channel Division, as saying “SuperSport have acquired all the rights, including pay-TV and free-to-air (FTA) as of October 2015”. It’s another blow to the fans who don’t have DStv, with SABC having also lost the rights to broadcast Bafana Bafana games last year. SuperSport United have confirmed the signing of Dove Wome from Mamelodi Sundowns. The Togolese international spent the past season on loan with Matsatsantsa, playing 26 League games and scoring six goals. Wome, who first arrived in the PSL with Free State Stars, has signed a three-year contract. Portuguese top division side C.S. Maritimo have signed South African defender Sandile Mthethwa from the KZN Academy set to participate in the Elan Durban Under-19 International Tournament. The 18-year-old, who has signed a one-year deal, was part of the Paul Cardoso-led academy that didn't win a single match in the group stages of last year's inaugural tournament, which was won by Brazilian side Santos. KZN Academy general manager Sboniso Vilakazi says that as a one-year-old academy they are proud that already one of their players is jetting out of the country. "Sandile Mthethwa has signed for the club [Maritimo] and we are very delighted to hear the news just as our work is starting to bear fruit," Vilakazi said. "He is 18 years old and he is a centre-back. There are also two other players … Linda Bhengu and Nkanyiso Zungu went on trial at Sporting Lisbon also in Portugal. However, they still have contracts running with AmaZulu and if AmaZulu allows them then we will do so but from us as a fledgling academy, we are very happy." John Paintsil has signed a new two-year deal with the club. Maritzburg, who finished the 2014/15 season in the top eight for the first time in their history, offered the former Ghana captain an extension and he has now put pen to paper. Paintsil was one of the regulars for the Team of Choice during the 2014/15 season with 29 starts in all competitions. The draw for the second instalment of the Elan Durban Under-19 International Tournament was made at Umlazi Kwa-Max Lounge, with the tournament set to kick off in July. The organisers of this year's event have invited some of the biggest clubs in Europe as Arsenal, AC Milan, Glasgow Celtic, PSV Eindhoven, VFB Stuttgart and Galatasaray join the SAFA Under-19s and KZN Academy in the pool of teams. KZN Academy – chaired by Paul Cardoso – will be made up only of players from the 11 regions of KwaZulu-Natal, which will be identified from various schools. They also announced their technical sponsor Legue, an Italian sports brand. They have in the past sponsored the Zimbabwe national team.Four venues will be used with Moses Mabhida Stadium set to host the Final and 3rd/4th Play-Off. Princess Magogo in Kwamashu, King Zwelithini in Umlazi and Sugar Ray Xulu in Clearmont are the other venues. Last year's player of the tournament, Leonardo Suarez of Boca Juniors, signed a five-year deal with Spanish side Villarreal earlier this season. The winners of last year's event, Santos of Brazil, were not invited. This year's tournament kicks off on July 29 and runs until August 8. Orlando Pirates trio Lucky Lekgwathi, Thandani Ntshumayelo and Lennox Bacela have recovered from their respective injuries as Bucs continue their bid for Confederation Cup glory. 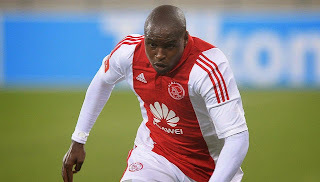 Veteran defender Lekgwathi has not played all season due to various complaints, including an ankle problem. The 38-year-old, though, is set to resume full training, according to the club's official website. Central midfielder Ntshumayelo was booked off for three weeks with a chest infection but is now back at training, as is striker Bacela who was nursing an adductor strain. However, fellow forward Helder Pelembe (tendonitis of the right leg) and midfielder Mpho Mvelase (groin) remain on the sidelines. The Sea Robbers will battle Guinean side AS Khaloum on June 6 for a place in the group stages of the CAF competition. Eric Tinkler's men won the first leg 2-0 in Mali. Kaizer Chiefs defender Mulomowandau Mathoho may well be on his way out of the club after a sterling season has earned him strong interest from Belgium, according to his agent Tim Sukazi. Sukazi has confirmed rumours surrounding Mathoho’s future at Amakhosi amid reports that he has attracted the attention of a number of European-based clubs. “Look that’s a fair, or reasonable, indication indeed,” reveals Sukazi. “I just got back from Belgium. 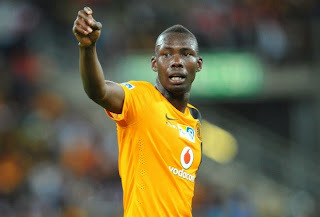 I spent some good times maybe with a few clubs there, they are interested in him – it’s an open secret really.” Sukazi says he is working hard to facilitate a move, but concedes that Chiefs will have a big say in the matter as Mathoho still has two years left on his contract with the Absa Premiership champions. We are in talks, as I’m speaking to you now, and we are trying to see if there’s a best way to forge a deal with one or two of those particular clubs. At the end of the day, it’s going to be between one of those clubs and Kaizer Chiefs, which will determine whether 'Tower' is going to Europe or not,” he concludes. Tefu Mashamaite walked away with the big prize once again at Kaizer Chiefs' end-of-season awards ceremony in Midrand last Wednesday night. Chiefs chairman Kaizer Motaung was in high spirits at the Vodaworld Auditorium, even joking that "during the season, people referred to this season as 'a movie', but I haven't seen this movie before". The chairman continued as he opened proceedings: "The class of 2014/15 has made a great mark in our history, in the manner in which you conducted yourselves. I'd like to congratulate coach Baxter for his 'stewardship' … as well as the technical staff, the groundsmen, office staff, everyone. To the players; I know some of you will not be here next season. Be grateful you were part of this journey. I'd like to thank the supporters. If it wasn't for you, we wouldn't have garnered the strength to finish the season." The lavish event was capped off in noble fashion as Kaizer Chiefs Player of the Season Tefu Mashamaite called his agent Tim Sukazi onto the stage, and then handed his award (including the R100 000 prize money) to his centre-back partner Mulomowandau Mathoho. Then in a bizarre ending to the evening, which lasted nearly five hours, coach Stuart Baxter handed over a dreamcatcher in memory of a Red Indian, Crazy Horse, to Morgan Gould. 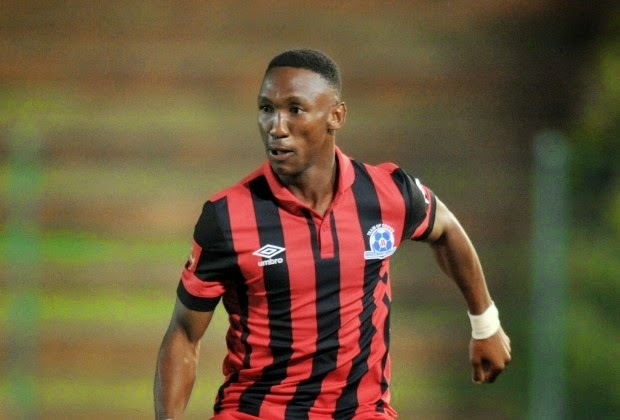 NFD club Royal Eagles have signed Maritzburg United midfielder Menzi Chili as well as Thanda Royal Zulu duo Jabulani Ncubeni and Mazwi Ncube. The midfielder they call 'Deco' was on loan at Eagles this season alongside Veluyeke Chili, with the club deciding to extend the stay of Menzi only. Eagles general manager Richard Makhoba says the club has released other two players and more will be confirmed once the window opens in June. "Veluyeke Chili, we are not going to sign him but we have agreed to sign Menzi Chili in principle and both clubs have agreed," Makhoba said. "We have released Noel Yobou, the goalkeeper who is from Ivory Coast, and also Sphesihle Nzimande … he was on loan to us from Polokwane City but we won't be keeping him. As you know, we have extended our contract with captain Walter Maponyane and we gave him the additional two years. We have signed number 10 from Thanda Royal Zulu, Mazwi Ncube, and number eight which is JB [Jabulani Ncubeni] and we are still going to come back with more new players we have signed on pre-contracts. We have also secured some exciting players from the Vodacom League [ABC Motsepe League] but I can't disclose at the moment because clubs are still finalising their deals. We have also secured exciting players who are playing in the Cosafa Cup currently underway in the North West. And we have taken joy in all the players we have signed," he adds. Makhoba also confirms that the club has secured the future of Mark Mayambela only in principle and that they won't be recalling Thembinkosi Fanteni because they are satisfied with what they have got with other strikers. Eagles recently parted ways with coach Thami Ngubani and appointed Vladislav Heric as they look to launch a more successful promotion bid next season after finishing 10th. 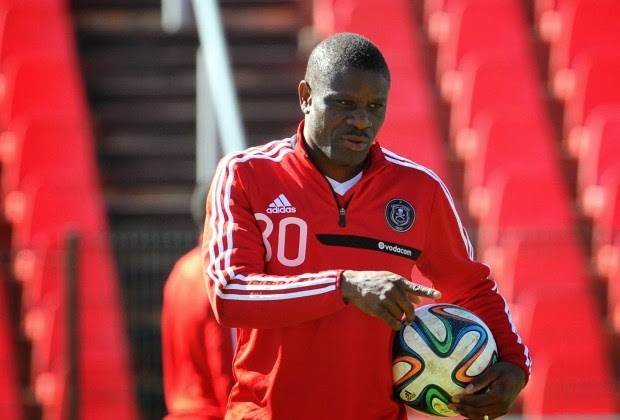 AS Kaloum coach Aly Toure has warned Orlando Pirates the pressure is now off his side and to expect a much-improved performance in the second leg of their CAF Confederation Cup tie on June 6. Pirates won the first leg 2-0 in Mali, the neutral venue chosen by their Guinea hosts, who still cannot play in their own country due to fears over Ebola. Goals from Thamsanqa Gabuza and Oupa Manyisa gave them one foot in the group stages of the competition, but Toure says now that nobody expects his team to advance, they will play with more freedom. He also lamented his side’s luck in the first leg, suggesting Pirates had scored with their only two chances, while his side missed plenty. Golden Arrows are set to make their first big signing following their promotion to the Absa Premiership by bringing in Khulekani Madondo. Abafana Bes’thende are desperate to reinforce their squad as they look to avoid another relegation battle, and have reportedly earmarked the AmaZulu midfielder as a key man. Madondo was a bit-part player at Usuthu this past season as they finished bottom of the log, starting 10 league matches and coming on as a substitute in another 11. While the Madondo deal is on the verge of being done, there is still some discussions to take place around bringing in Orlando Pirates striker Helder Pelembe. The Mozambican made just two substitute appearances in the league for the Buccaneers in 2014/15. Benson Mhlongo says he has no plans to retire as he still has a couple of years left in his career despite playing on the periphery for Polokwane City this season. The former Orlando Pirates centre-back's contract with City is up at the end of next season and he still feels he can be an influential part of the club moving forward. During the second half of the season, coach Kosta Papic said he preferred other players ahead of Mhlongo even though Thapelo Tshilo was not fit to play regularly in the starting line-up. However, the 34-year-old says retiring is the last thing on his mind and he will return with other players when they start preparations for next season. “Why do I have to retire and why are you so negative and why can't you be positive?" responds a bullish Mhlongo when asked if there have been any thoughts about retirement. "The latest from me is that I must go back to work on the 20th of next month and my contract is ending next season. With regards to how long I will go for, only people who I play with can tell you that and you can try someone else if I can still cope and they will tell you, I cannot lie to you." Despite Mhlongo's assertion that he still has the legs to carry on, Papic said when his side lost 2-0 to AmaZulu last month that Mhlongo was not fit and that Tshilo is the reason why he couldn't include the veteran in his 18-man squad. Asked to comment on Kosta's remarks that he was unfit to play in some matches, Mhlongo adds: "That was his opinion but I have a different story than that." Bidvest Wits have decided against retaining Rowen Fernandez for next season. Fernandez was signed at the beginning of 2013/14 after leaving SuperSport United as a free agent, but has now been deemed surplus to requirements in Braamfontein. The 37-year-old, who is determined to continue playing, spent most of the campaign as back-up to Absa Premiership Goalkeeper of the Season Moeneeb Josephs. “My contract with Wits expires at the end of June and they have since informed me that I will not be in their plans for next season based on the contract that we had agreed,” Fernandez said. “Though I will not be at Wits I still want to continue playing next season and so what I will do is wait and see what happens in pre-season. Though I didn’t play as much as l would have wanted to this past season I am proud that I performed well in the games that I played and I also pushed Moeneeb hard enough for him to eventually finish off the season as the best keeper in the League.” The vastly experienced Fernandez has now had two spells with Wits and also played for Kaizer Chiefs and SuperSport along with German club Arminia Bielefeld. There will be an obvious dangerman for Bafana Bafana when they face Gambia in next month’s African Nations Cup qualifier – Mustapha Carayol. It has taken Gambia seven years to persuade the 26-year-old Middlesbrough winger to turn out for the national team and Carayol. He says he is excited by the challenge and will be out to show his worth against South Africa. "Obviously I've not had the chance to play internationals yet, but I've spoken to a few close friends of mine. Albert Adomah, who's at Middlesbrough and represented Ghana at the World Cup, and Yannick Bolasie, who's a really close friend of mine who represented DR Congo in the Africa Nations Cup just gone. And they've all told me good things about playing African football, so I'm excited. I can't wait to get the chance to go and kick a ball out there and show everyone what I can do." Carayol, who was born in Banjul but spent much of his life in England, says timing has been bad before. "I think it's been a long time coming; I've had a few times when they've invited me, but it wasn't the right time for myself and my family. A few of the times I've had a little injury. So I didn't really want to come and perform half-heartedly. I feel like it's the right time in my career now.” South Africa play Gambia at home on the weekend of June 12-14, with the exact date and venue yet to be decided on. Portia Modise has announced her decision to quit professional football with immediate effect. The 31-year-old striker, who has scored over 100 goals for Banyana, announced the decision last week at the Safa House. Safa president Danny Jordaan announced that "her new role will be to guide other players". "This is a special moment. This is one player who knew how to get the ball into the net," Jordaan says. "We're going to create a coaching path for Portia. We certainly hope she will pursue a coaching career." Modise made her national team debut in 2000 and made 117 appearances for the team, scoring her 100th goal in October last year against Algeria at the CAF African Women's Championship. Bloemfontein Celtic have confirmed that they will not renew the contract of Lerato Manzini, just months after recalling him early from a loan spell at SuperSport United. Manzini will now join Joel Mogorosi and Mogogi Gabonamong in the list of players whose contracts will not be renewed when they expire at the end of June. The 23-year-old has shown hints of quality but is yet to really stand up and prove himself, falling down the pecking order up front. Manzini finished the past season without a goal in three starts and four substitute appearances at SuperSport, and made one start and three substitute appearances at Celtic in the second half of the season. Ajax Cape Town defender Rivaldo Coetzee says he is in no rush to make a move away from the club. Roger De Sa has said on several occasions that there is massive interest in the 18-year-old, with Ajax Amsterdam thought to be favourites, while Orlando Pirates and Mamelodi Sundowns are also said to be interested. The Brazilians are looking for a long-term replacement for departed captain Alje Schut, while the Buccaneers need youth to replace veterans Rooi Mahamutsa and Siyabonga Sangweni. “I’ve just completed my first full season in the PSL and it has been a great one for me and the club,” Coetzee said. “As a young team we did really well and, on a personal level, I learnt a lot and gained a lot of experience playing in the league, playing at Afcon and the [Nedbank] Cup Final.” Coetzee added: “The coach has mentioned it [about the European interest], but he hasn’t spoken to me one-on-one. I think that’s how he is protecting me and so we will just take each day as it comes and go on with work without him mentioning it. Maybe he didn’t want to distract me for the cup final or whatever. But I don’t stress about that we’ll deal with it in the off season. It's everyone’s dream to move to Europe, but I’m in no rush because I believe when the time is right, the chance will come.” Initially Coetzee was supposed to travel with Ajax’s Under-19 squad for tournaments in Germany and Holland, but his busy schedule forced the club to withdraw him and instead give him a break. National First Division side Highlands Park have assured new coach Allan Freese of unwavering support in their bid for promotion next season. The former Platinum Stars coach is now in charge of Park who finished 11th this season. He will be assisted by Les Grobler and Thierry Mulonzo. “We are excited with his appointment as he is an experienced and a knowledgeable coach who also understands South African football,” Highlands Park director Sinky Mnisi said. “As management, we intend giving him all the support as we want to push for promotion. Our first season has always been to save the status of the team in the NFD. We now have ample time to prepare the team unlike the previous season,” he adds. The club has also renewed the contract of goalkeeper Tapuwa Kapini for another season. SA players abroad round-up: Ayanda Patosi's Europa League hopes were dashed on the weekend, Darren Keet ended the season with game-time, while Siyanda Xulu remains a peripheral figure at FC Rostov. Lebogang Phiri - Phiri ensured he will play UEFA Europa League football next season after helping Danish side Brondby to a 3-2 victory over champions Midtjylland on Monday night. The win ensured that Brondby can’t finish lower than fourth in the Danish League this season, which will be enough to qualify for the European club competition. The top three positions are usually reserved for Europe, but as second-placed FC Copenhagen also won the Danish Cup, it means that fourth will be good enough. Brondby need just a single point from their two remaining matches this season to be sure of third, but at worst will occupy the top four. Phiri played the full 90 minutes on Monday in a game of two halves. Brondby led 3-2 at halftime as goals rained in during the opening period, but neither side could find the back of the next in the second half. So far only a few South Africans abroad have sealed European football next season. Thulani Serero looks like being Mzansi’s only representative in the UEFA Champions League with Ajax Amsterdam, while Haashim Domingo’s Portuguese side Vitoria Guimaraes will be in the Europa League. AYANDA PATOSI - Patosi’s season in Belgium was ended when his Lokeren side lost their UEFA Europa League play-off tie with Mechelen. Lokeren went down 2-1 on the night to lose 4-3 on aggregate and end the campaign without European football next season. DARREN KEET - Keet, restored to the starting line-up in the midweek draw with Anderlecht, played again for Kortrijk in their 1-0 loss to Club Brugge. His season is now completed. SIYANDA XULU – Xulu was once again benched. It is now six months since he played a competitive fixture for FC Rostov. MAY MAHLANGU - Mahlangu was an unused substitute for Turkish side Konyaspor as they drew 1-1 at home with Rizespor. RICARDO NUNES - Nunes’s season in Poland is petering out as his Pogoń Szczecin lost to table-topping Legia Warsaw and are rooted to the bottom of the eight-team championship play-offs. CHEYNE FOWLER - Fowler came off the bench in the second half for Finnish second-tier side FC Haka in their 0-0 draw with FC Jazz. PULE MARAISANE - Maraisane made his Swedish league debut for second-tier GAIS when he came on as a second-half substitute in a 1-0 loss at Frej. He entered the game off the bench in the 66th minute. SERGIO MARAKIS - Marakis played what could be his last game for Portuguese second-tier side Portimonense as they scored five minutes into injury-time to draw 1-1 with Leixoes. He has been on loan at the club from top-flight Maritimo this season. ETHEN SAMPSON - Sampson was on the bench for the Vancouver Whitecaps in their 1-0 MLS loss to Colorado Rapids. TIYA SHIPALANE - Shipalane scored his third goal of the season as his Carolina Railhawks side won 1-0 at Fort Lauderdale Strikers.